South Wales Wedding Photographer and Videographer duo. Because… All the best things in life come in two. Photo Video Thing Work, Hey? In the same way that photography is to videography, you could say we are the Ying to each other’s Yang. We both LOVE the candid moments in-between, abstract reflections & personal vows. 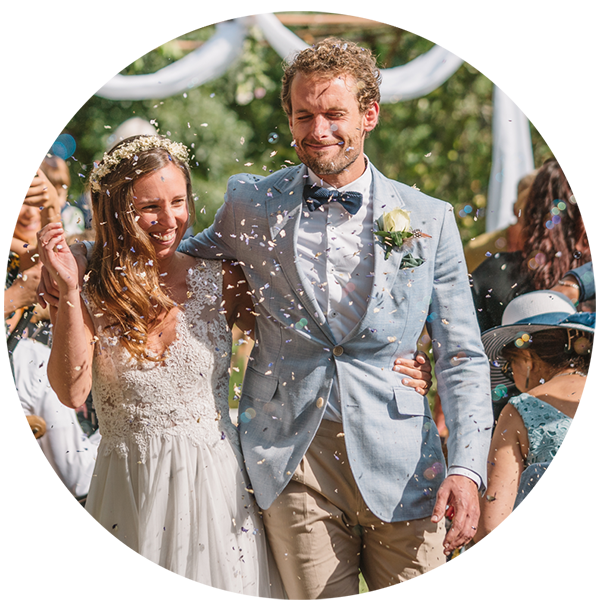 We are all about keeping our wedding image style informal, with a little sense of adventure thrown in. Welsh and proud, we love all the nooks & crannies this country has to offer for wedding locations! South Wales offer some of the most breathtaking views from wedding venues that the country can offer. Whether it’s amongst the beachside venues of Gower, the urban city centres of Swansea, Cardiff, or even near the mountain peaks of Brecon. As long as there’s a little adventure & passion for creativity, we are in! When we aren’t filming a wedding, we’re location scouting, looking beyond the obvious to find the dramatic views found only in our 4x4, or rustic backdrops and matching them to each couples individual personalities for couples shoots on your wedding day. Get to know our relaxed style by having a good nose through our fully loaded wedding photo & video blogs. Outdoor hand-fasting ceremony at Anrán, Devon. Boho Wedding at Mumbles Pier | Soph & Rik From London. Fairyhill Wedding Photography & Videography in Swansea. Cardiff Wedding Photos, St Davids Hotel. Barn At Brynich, Brecon Wedding Photos & Video. Clyne Chapel & Gardens Wedding Photos | Bethan & Jamie. Alternative Wedding Photography, Sylen Lakes, Carmarthenshire. We even fly for destination weddings, or by ferry to France, as long as there’s a story to be told, we’re in! We are major foodies, especially in different countries. So whenever we can, we’re on our travels. If we can combine this with an awesome couple getting married abroad... why the hell not!? This years travels for weddings include Corfu, Brittany & Vegas! May 12th - Liberty Stadium, Swansea bay. June 30th - Morgan’s hotel wedding festival, Swansea. July 7th - The Corran Resort & Spa, Laugharne. Get in touch for a wedding photography & videography quote. Tell us about your plans, all the intricate details, the excitement you feel & how we can fit into your big day.